We have different service plans to cater to the needs of individual unique groups of customers. It will take an average 5-7 days upon job confirmation for us to proceed. 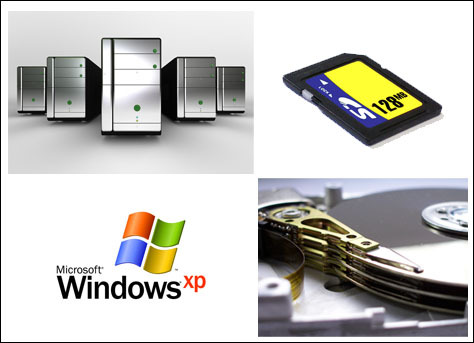 A quick turnaround time within 24 to 48 hours for emergency or urgent data recovery services. The cost of recovery is about 20% more than standard pricing. Regardless of service plan engaged, Adroit Data Recovery Centre Malaysia adheres strictly to “No data, No charge” policy. How does Adroit Data Recovery Centre Malaysia charge on their data recovery services ? When customers send in their media, our recovery engineer will conduct an evaluation or diagnosis on the damaged media and this is usually done on a first come first serve basis. This will normally be done within 2 working days upon recieving the media. If priority evaluation is required, we will put that particular task on top of our list and quotation will then be ready within 24 hours. Complexity and tediousness of media failure. Type of media be it 3.5” desktop (IDE or SCSI) or 2.5” laptop hard disk, flash memory card or USB, CD-R or DVD-R etc. Types of RAID array and its configuration whether RAID 0, RAID 1, RAID 3, RAID 5 or multiple level RAID, e.g 0 + 5. Number of disks in the raid array. Upon receiving our quotation, user will decide to proceed with the job or not. Once we are allowed to proceed with the job, and subsequently fail to recover the required data, there will absolutely be no charge. If user decides to cancel the job then, a cancellation fee of RM95.00 will be imposed. Please note that cancellation fee is not evaluation fee. Let's see the difference between ‘evaluation fee’ and ‘cancellation fee’. Evaluation fee is a one time fee that is payable to the data recovery company regardless if data is recoverable or not and this fee is usually payable up-front when you hand in the media before the evaluation or diagnosis is done. Charging evaluation fee is practiced by some data recovery companies and it usually amounts to hundreds of Ringgit. Cancellation fee applies only when the client, upon receiving our quotation after evaluation or diagnosis has been done, decides to cancel and not to proceed with the recovery job. If client decides to go-ahead with the recovery task and data is unrecoverable due to severe media damage, “No data No charge” policy stands and you don’t have to pay a cent, even though hours or even days of man-power or other resources had been scheduled and consumed in the recovery processes. If we cannot recover your lost data, you don’t pay us at all. The idea of charging a symbolic cancellation fee is to refrain those who are not genuine in pursuing a data recovery process with us. We realise the best way is to charge a small amount in terms of cancellation fee. Moreover, this cancellation fee is made known to all clients before they send in their media for evaluation.